The traditionally styled Louis Philip Queen Sleigh Bed will bring refinement to your bedroom. 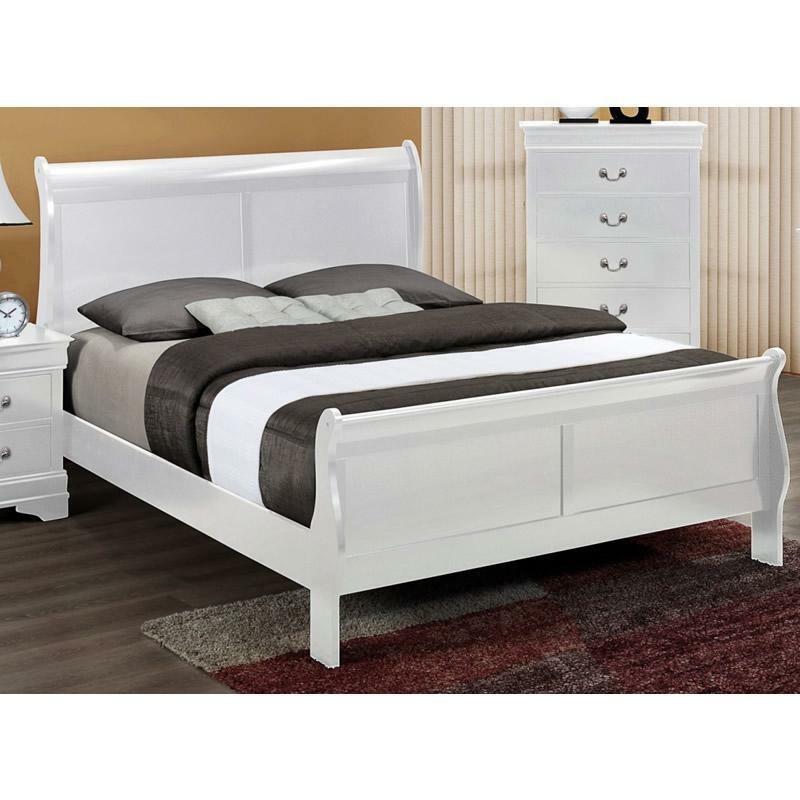 It offers a formal look and feel with its sleigh style headboard and footboard which feature beautiful paneling details. It comes in a rich white finish. This bed will be a perfect addition to any room decor. 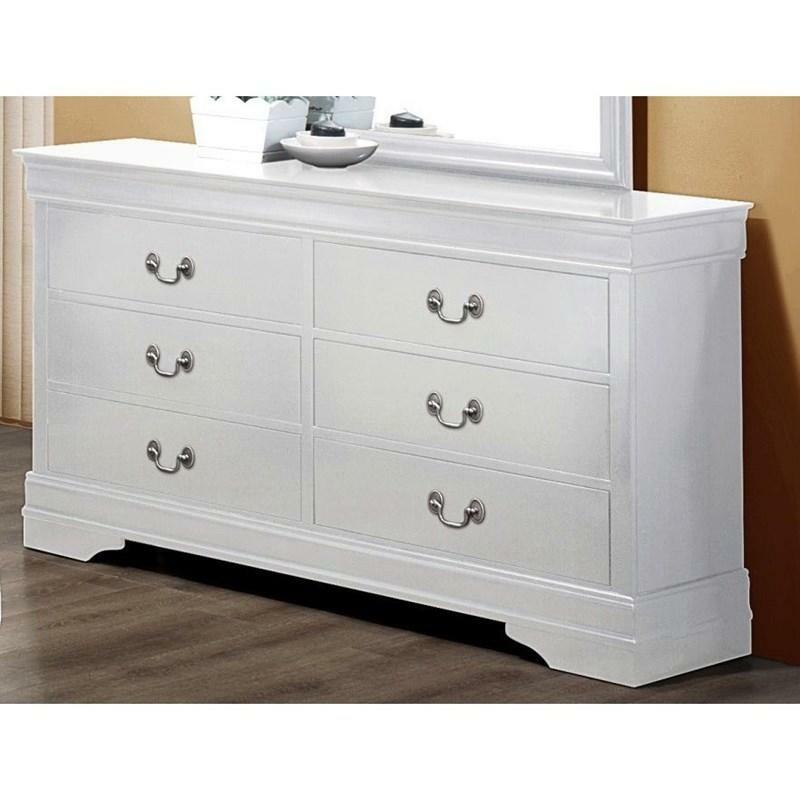 Bring convenient storage space to your bedroom with the Louis Philip Chest from Crown Mark. It features five storage drawers, traditional hardware pulls, decorative moldings and bracket feet. It comes in a beautiful, rich white finish. 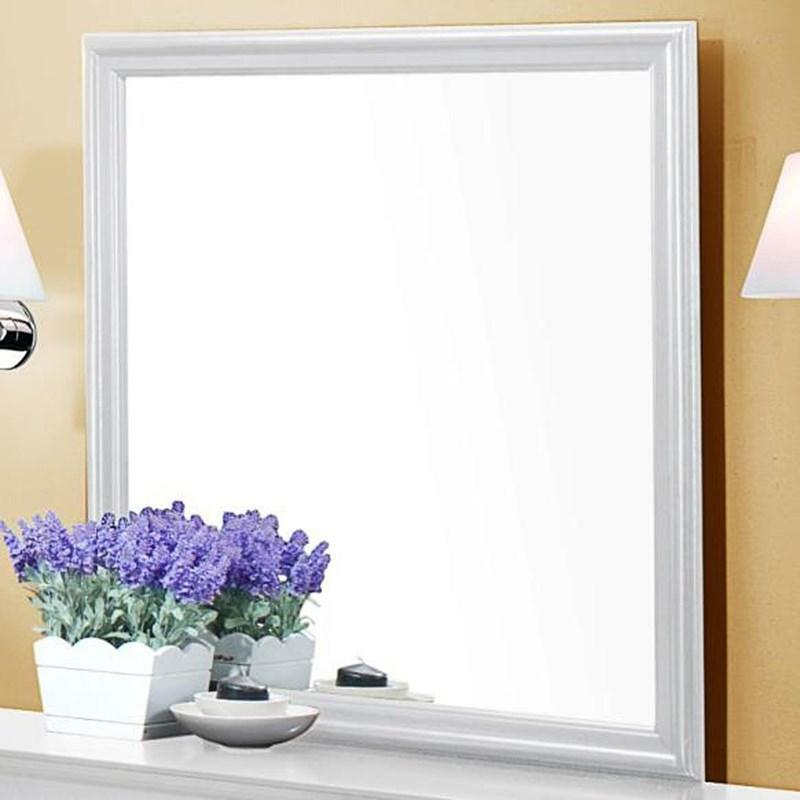 The Louis Philip Dresser Mirror from Crown Mark will add a beautiful touch to your bedroom. It features a square wooden frame in a rich white finish. 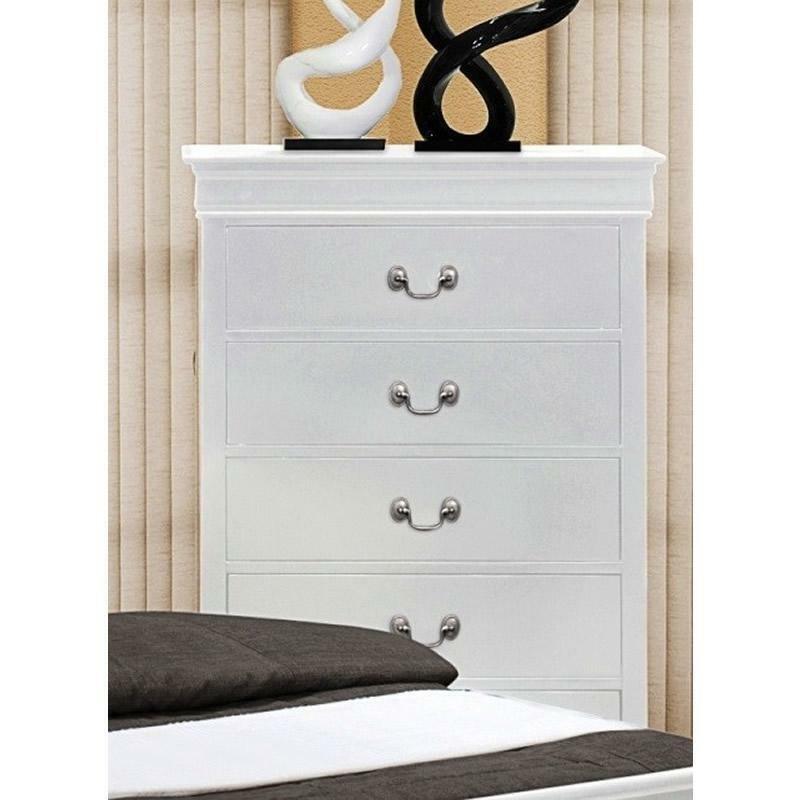 Can be paired with the matching Louis Philippe Dresser. 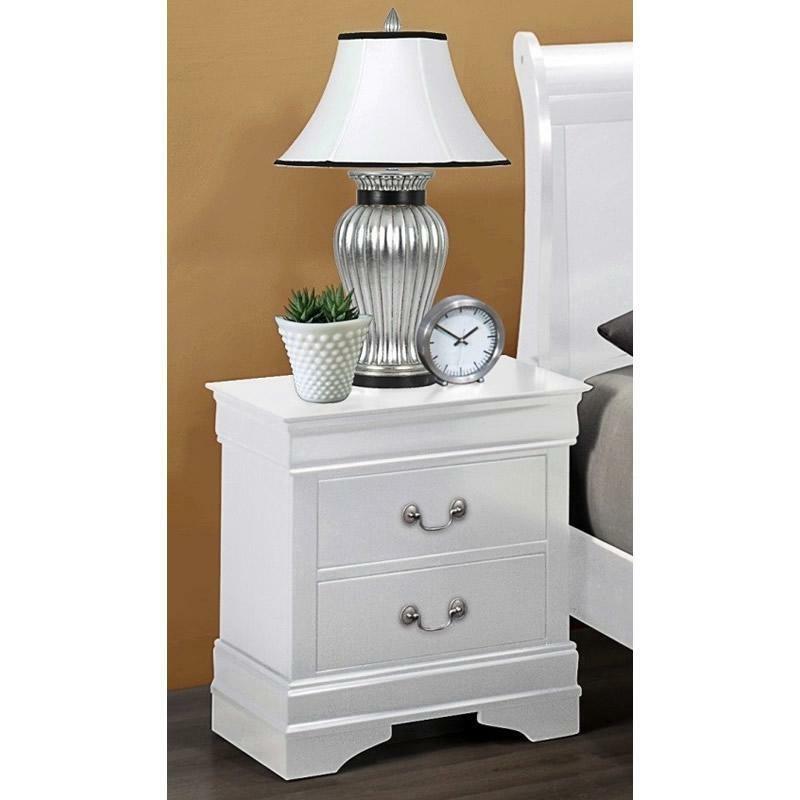 This Louis Philip Nightstand from Crown Mark will be the perfect bedside companion. It features two storage drawers, traditional hardware pulls, decorative moldings and bracket feet. It comes in a beautiful, rich white finish.